On July 18, 1976 the first worship service was held in Scholte Church and led by Pastor Duane Kamrath. Sunday School classes started in September of 1976 and the women began working on quilts for Lutheran World Relief. 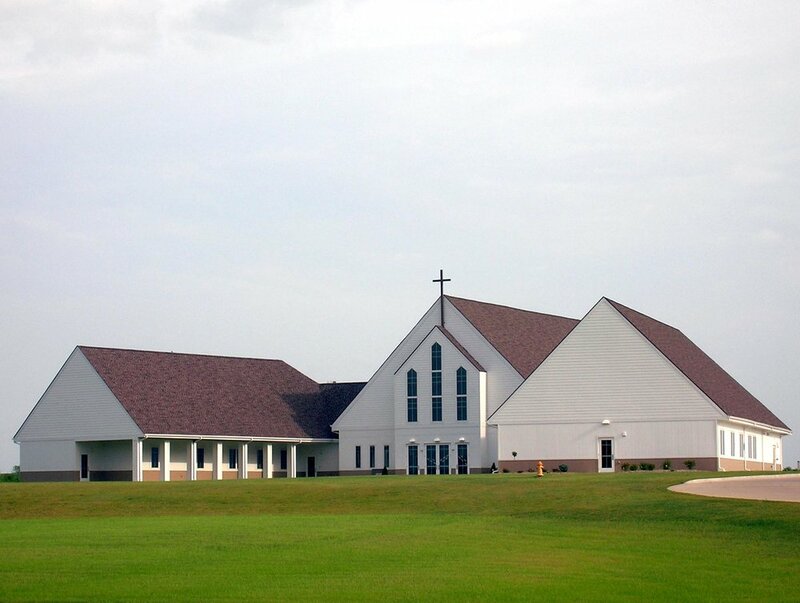 On November 20, 1976 Peace Lutheran Church was officially named and organized. Duane Kamrath was officially installed as Pastor on November 21, 1976 at a service held in the Cox-Snow Recital Hall at Central College. On November 6, 1977 ground was broken at the location of West 5th and Independence for Peace Lutheran's first church building. On May 7, 1978 the first worship service was held in the West 5th and Independence building. Many of the members walked from Scholte Church to the new building. In January of 1981 Pastor Arvid Dixen was installed as Pastor at Peace. In 1981 the Pella Food Shelf was launched to provide food for people in need. In February of 1983 Pastor Larry Lenning was installed as Pastor at Peace. In 1984 Peace sponsored Good Shepherd Lutheran Church in Knoxville. In November of 1987 Pastor Mark Pries was installed as Pastor at Peace. In June of 1993 Peace began mission trips to Agua Prieta, Mexico to build houses. On September 12, 1993 ground was broken for a Fellowship Hall/Education/Office addition. On February 10, 1999 Pastor Kim Wills was installed as Associate Pastor at Peace. In 2003 Peace became a companion congregation with Mwanga Parish, Pare Diocese, Tanzania and the Aids Orphans sponsorship was launched. In October of 2007 Sherry Maakestad joined the staff at Peace as Education and Youth Ministries Coordinator. On June 1, 2008 ground was broken for the building on East Vermeer Road. On May 31, 2009 Pastor Gary Kinkel was installed as Pastor at Peace. On September 6, 2016 the Pella Community Food Shelf began serving those in need at their new location at 419 East Oskaloosa Street. On January 8, 2018 Pastor Chad Brown started work as Pastor at Peace. Pastor Chad Brown was installed at Peace Lutheran on February 25, 2018.